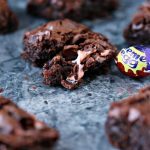 Ooey, gooey, fudgy chocolate brownies filled with creme eggs. If you love creme eggs as much as we do this recipe is for YOU! Whip up a batch, or ten, this holiday season! I admit it, not only am I a brownie fanatic, I’m also a Cadbury Creme Egg fanatic as well. Since they are only around for a short time each year I try to make the best of it and find as many ways as possible to get my Creme Egg fill. Today I stuffed those scrumptious eggs into brownies. For no other reason than I felt like it. 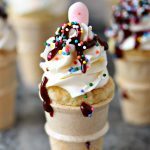 Sometimes you have to roll with your wacky cravings, and considering my blog is called Cravings of a Lunatic I roll with mine often. My motto is if you are craving something there’s a reason for it. Your body is telling you something. So indulge it and have a little bit of whatever you happen to be craving. If you only eat a little then cravings never get the best of you. I think most of us never give in to those cravings because then we go overboard and eat too much of what we’re craving. That’s never a good idea. But it sure is easy to fall prey to our cravings and eat 20 creme eggs instead of one. You know what I’m talking about. We’ve all been there. You crave a creme egg or a piece of chocolate, so you think to yourself I’ll just have one. Next thing you know your lying in your bed watching the walking dead with forty-six opened wrappers strewn about. We’ve all done it. Whether it’s chocolate, chips, pistachios or cookies. It happens to the best of us but never let it get you down. You are not defined by what you put in your piehole, but rather by your zest for life. So no one here will ever judge you. If you give in a little too hard just try to behave a little better the next day. Life is about the big picture, it’s about enjoying the hell out of yourself every chance you get. So never let one bad day get you down. Pull up your bootstraps, laugh at yourself a little bit, then move on. A bad day is not a bad week, or month, or life. You’re human. Learn to let stuff go at the end of the day. Learn to enjoy the little things. Like creme eggs. And creme egg brownies. Eat one or two, then bring the rest to work, or give them to the hooligans. These ooey, gooey, fudgey brownies are sure to be a hit with everyone who tries them. Share them responsibly. Or, you know, don’t. Melt the butter and semi sweet chocolate together over low heat in a medium saucepan. Stir with a wooden spoon. Now add your eggs and vanilla, stirring until it’s smooth. Add chocolate chips, flour and vanilla salt. Stir until combined. Transfer batter to pan and place in oven. Bake for 20 minutes. Remove from oven, and place each mini egg randomly in batter and press it down. Pop back in the oven for another 15 to 20 minutes. Slice with a knife into squares. Serve with a big old creme egg loving smile. Swing by recipe index for more inspiration. 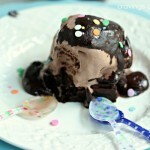 There are tons of great dessert recipes, and also a wide array of chocolate recipes. You can also follow me on Pinterest for some fabulous recipe inspiration, as well as fashion, jokes, and cat pins. I’m cool like that. The Best Brownies In the WORLD!!! 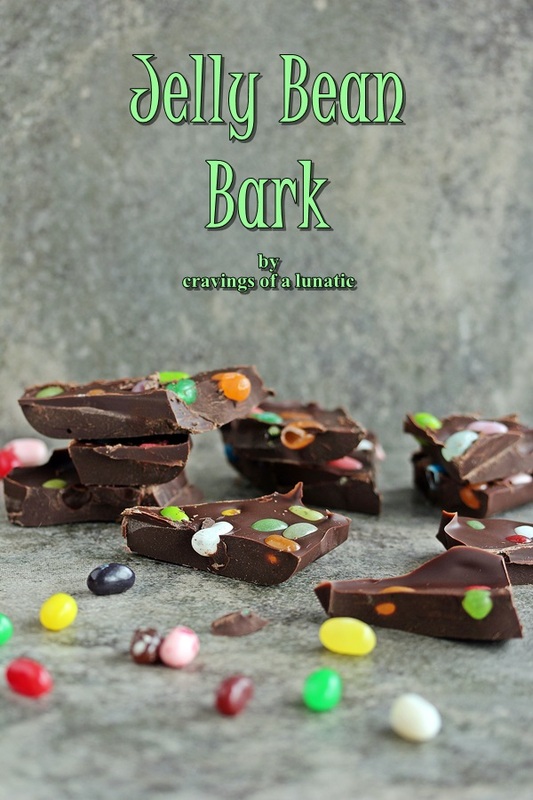 I love your Easter Jelly Bean Bark, and I will be making this for Sunday. 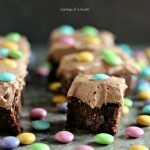 These are decadent brownies worthy enough to grace the Easter spread. Love cadbury cream eggs also! I love the creme eggs in these!! Ok, I have the worst craving for chocolate right now. Have a great Easter weekend! 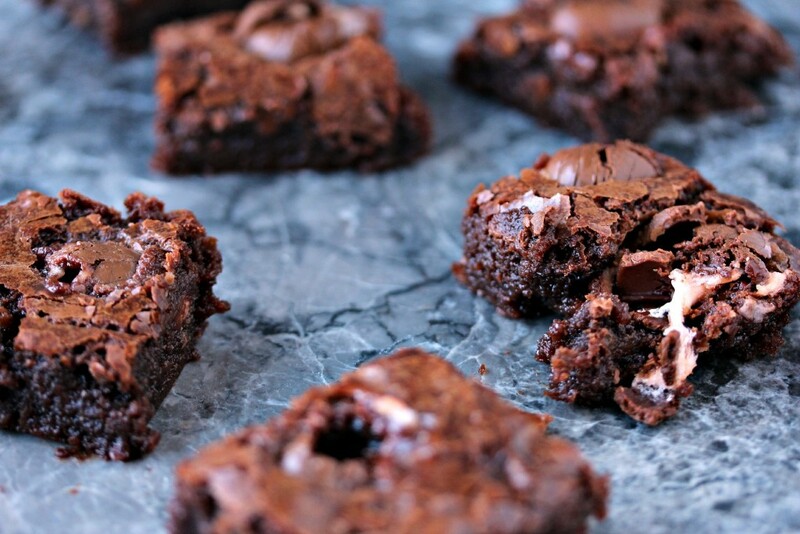 you took brownies to a whole new level with this recipe. 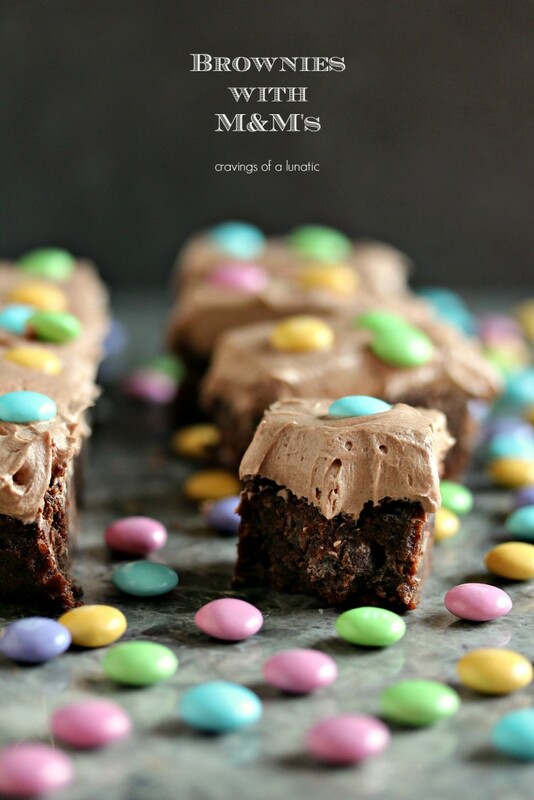 I didn’t think it was possible to make those brownies any better…but you did by adding Cadbury Eggs! Sinfully delicious! Cadbury Creme Eggs are wonderful, aren’t they? Never had one in a brownie, though. Mrs KR and I will have to get cracking! Fun stuff — thanks. 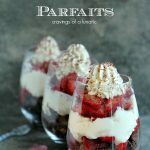 You should give into your cravings every time, Kim, because look at the genius desserts you come up with when you do! Daaaaaamn, this looks good. 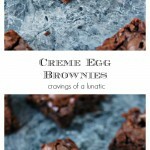 I especially love the photos of the uncut brownies with the molten creme eggs collapsing in on themselves. Totally drool worthy! My daughter is a huge creme egg fan, she would go bonkers over these brownies! OMG, I freaking love Cadbury Creme Egg! They are so addictive! Did you know that they have them around Halloween too? They’re exactly the same except they have green insides haha. Love the brownies! 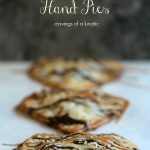 I’ve got to make these!! Wait. You mean it’s humanly possible to eat only ONE creme egg?! I love those little suckers! Putting them in brownies is a totally legit way to eat several of them without the guilt. It has been years since I had a cadbury egg! Now I want them! These brownies look amazing! It’s so true that life is about the big picture. Each day balances out the one before it. Now, send me the leftover of this brownies, please – I suddenly have a huge craving. 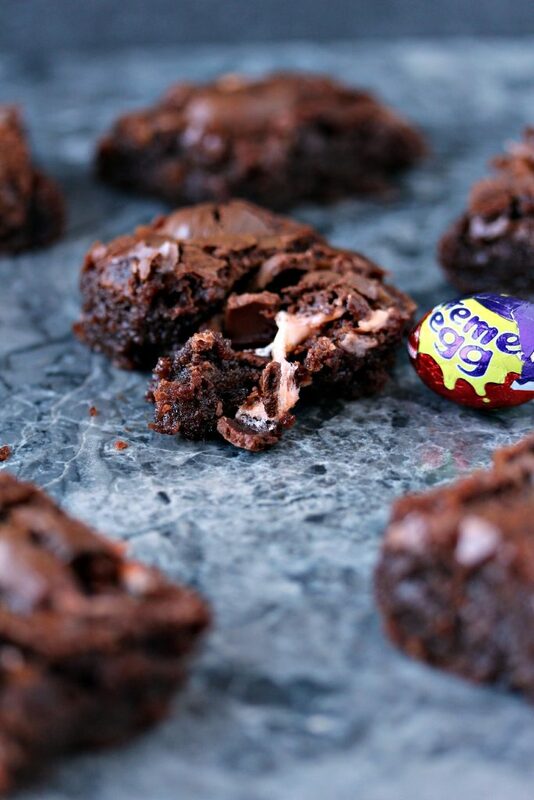 What a great idea to put creme eggs in brownies! I love it! 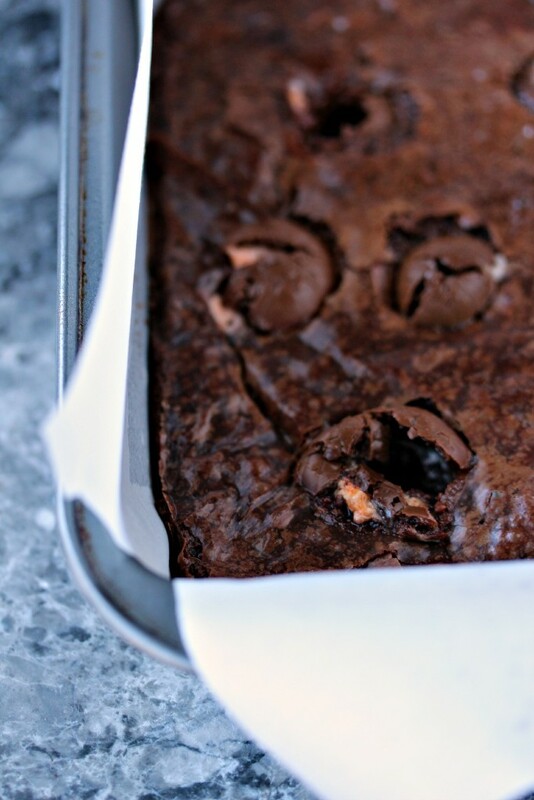 the cracklly tops on those brownies-perfection! and I lovee that you threw in the creme eggs, even more deliciousness! Sinfully delicious! What a great idea! These look amazing, I just can’t get over how good they look. My son-in-law has a cream egg obsession, he would love these! Oh man! Cadbury cream eggs rock! I have one each year. (OK I try to only have 1) You made them even better by adding them to brownies. I always buy too many creme eggs….now I have something to do with them! It’s time for me to stuff something with Cadbury Creme Eggs—-brownies look like a delicious place to start!! My kids love creme eggs! This is the perfect way to sneak a delicious surprise into their brownies! love all your easter recipes! I am a huge Creme Egg fan. I see more Creme eggs in my future. Loving all your Easter recipes! Tried these today, this was amazing! I didn’t have any mini creme eggs, so I just used a regular one and cut into pieces. 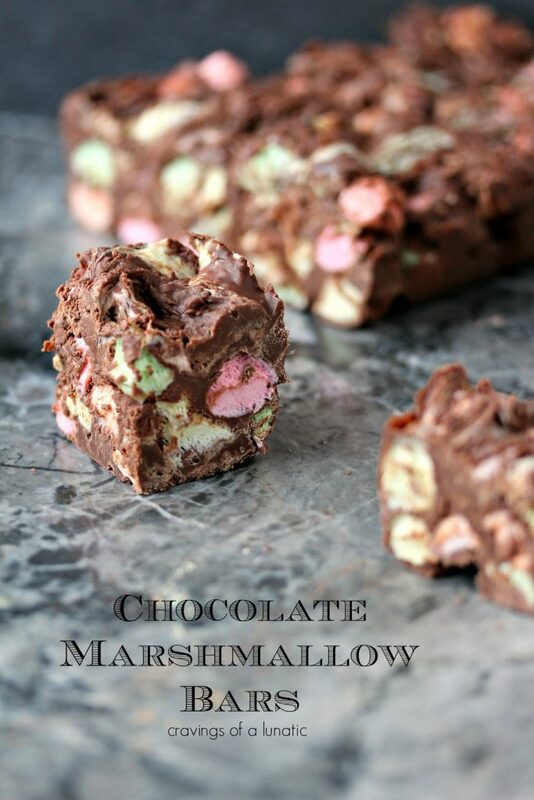 Turned out great still, but I’ll have to try with the mini eggs too! Thanks so much for trying them Serena. So happy you liked them. Next time you make these brownies try tossing in Caramilk bars or any bar with caramel. SOOO good. I’m obsessed with these brownies. These look incredible! 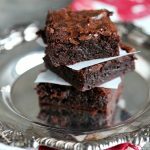 Brownies are always welcome in my house and these are a great recipe to use up that Easter candy! Thanks so much Marie. I’m a sucker for candy filled brownies.